Msgr. 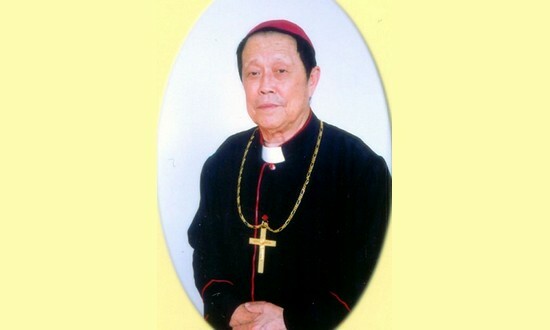 Joseph Li Mingshu, bishop of Qingdao has died. 'Fearful', he had invited Mother Teresa’s Sisters to his diocese by Bernardo Cervellera He was 94 years old. He was bishop of Qingdao since 2000, with the Holy See approval. But according to several people, he was too subjugated to the Patriotic Association and to Antonio Liu Bainian, president of the organization and originally from Shandong. The diocese is silent on the period from 1953 to 1978. It is probable that the bishop was dragged to prison or forced labor camps during the Maoist period and the Cultural Revolution. Rome (AsiaNews) - Msgr. Giuseppe Li Mingshu, bishop of Qingdao (Shandong), died on June 15 at the age of 94. The diocese reported news of his death, but has yet to announce a date for his funeral. His faithful remember him as a "fearful" and obedient bishop to the Patriotic Association, but in 2005 he invited Sister Nirmala Joshi, who succeeded Mother Teresa as superior of the Missionaries of Charity, to visit Qingdao to study the possibility of opening a house in his diocese. He also invited Sister Nirmala to write to the Chinese authorities for permission, but the nun's letter has never been answered. The various stages of Msgr. Li’s life are noted in the necrology published for the press. However, silence shrouds the period from 1953 to 1978, namely the period of Maoism and the Cultural Revolution. It is very likely that at that time he was sent to forced labor camps, like many priests throughout China. Even in the obituaries of other (official) bishops, this period is omitted or erased, with the subsequent risk of ignoring or manipulating history. The diocese of Qingdao has about twenty priests and two female religious congregations. Msgr. Joseph Li Mingshu was born in December 1924 in the village of Lijia (Shandong). He completed his studies in secondary school and in the minor seminary of Zhoucun. Between 1943 and 1949 he studied in the major seminary of Jinan (Shandong) and then in Wuhan (Hubei). He was ordained a priest on April 11, 1949, in Wuhan Cathedral. Between 1949 and 1953 he worked as a priest in Shaoguan (Guangdong), also teaching in primary and secondary school. The diocese gives no news of him in the period from 1953 to 1978. From 1978 - the end of the Maoist period - until 1986 he taught an educational science at a teacher training college and English in a high school in Boxing, Shandong. From 1986 to 1994 he was vice-principal for studies in the Holy Spirit seminary (Shandong). He was then appointed diocesan administrator in Qingdao and on 13 August 2000 he was ordained bishop of the diocese, with a mandate from the Holy See. From 2000 to 2005 he was vice-rector of the Beijing National Seminary. At the ordination ceremony, Msgr. Li declared that he wanted to strengthen new means of evangelization for his diocese, forming lay leaders, developing adult catechism classes and maintaining relations of communion with the universal Church.